“I started to realize that God is not for the elite, but He is for the hungry,” she says. “He is for the people who want to meet Him, not just for the ones who are dressed up. He loves them,” she says. And the good news of the Gospel is for them. That nontraditional approach to worship gatherings turned into a non-traditional approach to recording when Casey decided it was time for a new album. No sterile studio environment for her. Instead, she and an eclectic group of 50 friends gathered at a nearby farm. There, while standing on rugs from her grandmother’s house in front of a roaring outdoor fireplace, she recorded songs that reveal who God is for local church folks who gather in corporate worship each week, but also for people who are not connected with the local church. The goal? To build a bridge where people can meet God from wherever they are. Creatively co-produced by John Webb, Jr., with all but one song written or co-written by Casey over a two-week songwriting intensive, the album evolves in three distinctive sections: the invitation, the encounter — a series of stories in song that reveal the calling and nature of God — and the response. The title track makes the invitation and the intention of the entire album clear: “We have gathered here together with one agenda and it is You alone… Come, we’re ready for Your presence… we’re desperate, hearts are open. Jesus, come…” Incorporating parts of the Lord’s prayer, “The Gathering” sets the tone and the transparency of the whole. From there, songs like “Creation Testifies,” “Hosanna” and “A Thousand Hallelujahs,” all reflect on the character and nature of God and echo back what it means when “heaven and nature sing.” Casey believes that as people join in praise together, we mirror what is also transpiring in heaven — cross-cultural, cross-generational, transformative worship that affirms one’s identity, place and hope in Jesus. If no one knows me, still His heart adores me I am safe, I am loved and I healed. 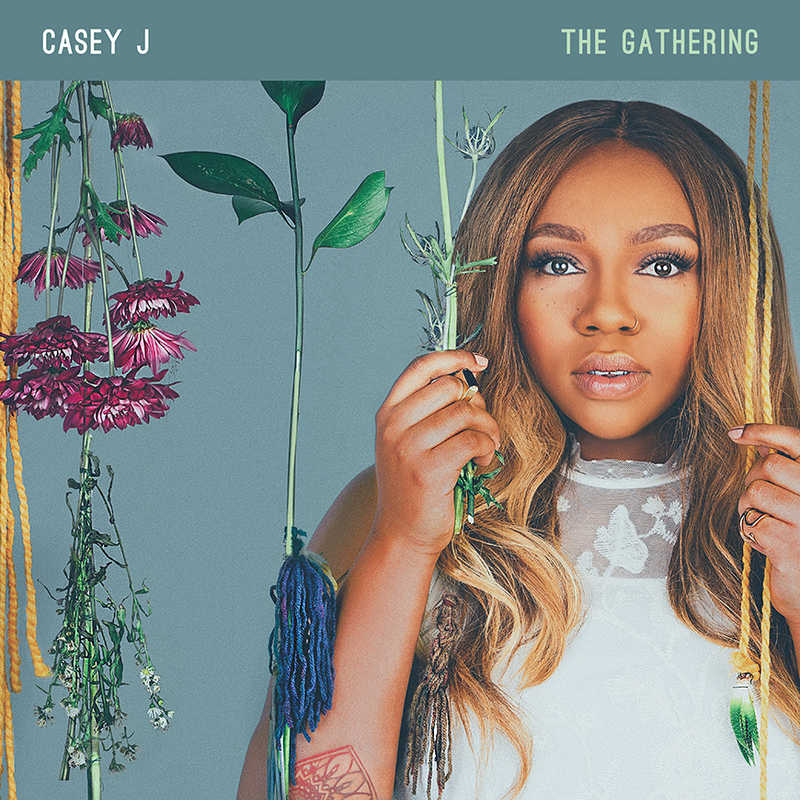 In these and all the songs of The Gathering, Casey walks out her calling to lift the name of Jesus high, depending solely on Him to do the work in people’s hearts.